NEW YORK – Errol Spence Jr. respects that Keith Thurman must complete his rehabilitation from elbow surgery before considering fighting him. Spence even understands Thurman wanting a tune-up bout before embracing their dangerous welterweight championship unification fight. 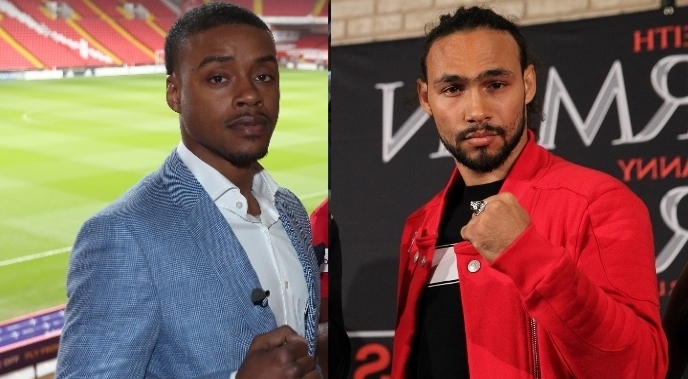 Beyond that, though, Spence doesn’t think there’s any reason they can’t fight after Spence faces Lamont Peterson in January and Thurman meets an undetermined opponent either late in February or sometime in March. Thurman (28-0, 22 KOs, 1 NC), the WBA/WBC 147-pound champion, indicated later in the press conference that they’ll determine welterweight supremacy “within one to two years.” Spence (22-0, 19 KOs), the IBF welterweight champ, certainly sounded ready to fight Thurman sooner than that. Thurman made it clear he wants to face Spence as well, just when the time is right. After Peterson I don't see any good reason why Spence shouldn't get Thurman in 2018. Also- is Danny Garcia officially done at this point?